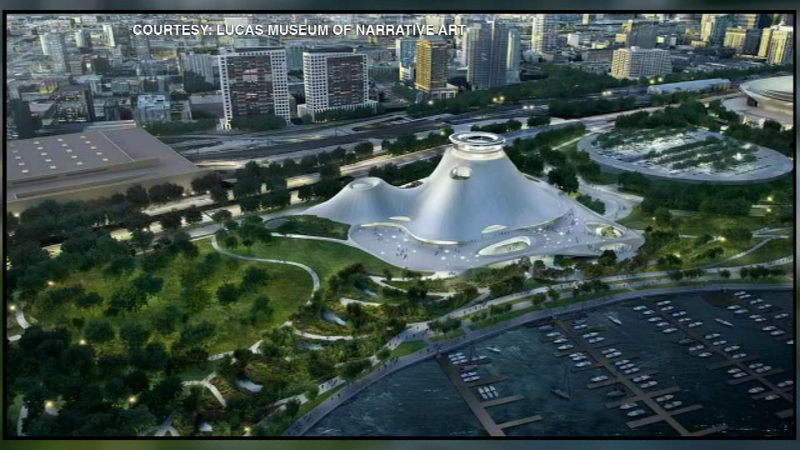 CHICAGO (WLS) -- Renderings released Thursday night offer a new look at the proposed Lucas Museum along Chicago's lakefront. Design changes would mean more room for park space and water areas. They'll be presented to city council next week.